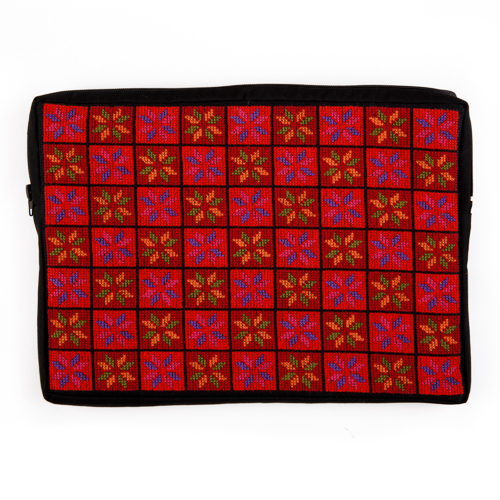 This beautiful case fits 13-inch laptop. Embroidered on one side, padded, zippered pocket for chord and gadgets on the back. Cotton 100%.